The beauty of the SilhouetteTM is in the details. The extremely lightweight Silhouette features smooth contours of carbon-fiber construction producing a superbly flexible, highly responsive prosthetic foot with a lively feel. The slim forefoot design is complemented by the bio-kinetically engineered floating soleplate which facilitates multi-axial rotation and an easy, natural push-off at terminal stance. Neat and trim, the Silhouette ankle provides an elegantly proportioned finished leg sure to please the most discriminating user. Designed for the moderately active amputee, the Silhouette is ideal for transtibial, transfemoral, or HD amputees weighing up to 365 lb. who desire a lightweight, dynamic response foot with multi-axial function and heel dampening. With the release of OMEGATM Tracer® 8.0, practitioners gain the ability to create Alpha® DESIGNTM Liners for their AK patients. DESIGN AK Liners allow prosthetists to add gel (up to 12mm thick) exactly where needed; thin gel down to 3mm proximally above the socket; and apply up to 12mm of gel over the distal femur. Expanded and exclusive AK sizes are offered. DESIGN AK Liners can be created by OMEGA Tracer 8.0, by our Web-Assist Program, or by plaster casts and ship within 48 hours of order receipt. Created and tested for application for the transtibial and transfemoral amputation levels, the HAD features a two-way slide that responds to the alignment challenges inherent with the use of high-tech feet and knees. According to esp, this device will significantly enhance the wearer's prosthetic alignment and reduce the practitioner's fitting time. Its tested strength, in its most extended positions, can accommodate individuals weighing up to 425 lb., yet due to its titanium construction, the HAD is both lightweight and durable for permanent installation. The HAD is calibrated for alignment accuracy and ISO-tested for strength and durability. SPS Answer2 Shoe Line Expands Again! Responding to customer requests for additional sizes and style options for adults, SPS has expanded the ANSWER2TMshoe line to include a new line of men's and women's athletic shoes and casual shoes. The EVA base, multi-density orthotic inserts have also been expanded to complement the complete line of women's Answer2 shoes. Designed to provide even distribution of pressure throughout the gait cycle, the new Answer2 athletic shoes establish a new standard in comfort, breathability, stability, and overall support. The attractive contemporary styling will appease even the most discriminating wearer. Both male and female styles are available with lace closure and three widths (medium, wide, and extra wide). SPS is pleased to announce the immediate availability of the ALPS GP (General Purpose) Gel Liner. This unique gel liner combines the softness, strength, and elasticity of the ALPS EasyGel with the comfort, durability, and pricing users need. The newest in the Ossur GII Unloader® Knee Brace is now available in a low-profile, lightweight, and cosmetically appealing design. The new GII Unloader LP by Ossur is a custom brace designed with an easy-to-use strap closure, a smaller design for easy concealment under clothing, and down-to-earth colors that will blend with today's fashions. It features the clinically proven Dynamic Force Strap, a thin low-profile hinge that accommodates up to 8 degrees of corrective forces, and low-profile custom shells made to fit the precise anatomical contour of the leg. The GII Unloader line of braces by Ossur is the most clinically proven knee brace on the market that provides targeted pain relief for osteoarthritis of the knee. ....about prosthetic liners. Forget all about sticky, smelly, cloth-covered products that are difficult to use, difficult to clean, and fray at the edges. 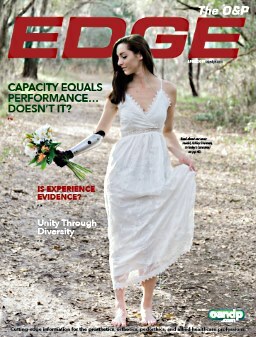 Freedom Innovations' new ParydonnTM Prosthetic Liner is the industry's most hygienic, user-friendly, medical-grade socket interface available today. It is odor-resistant, durable, easy to don and doff, and easy to trim. The secret is a highly advanced, silky smooth Parylene Coating used widely on catheters and in the implantable medical device industry, now patent-pending to Freedom Innovations for prosthetic use. The coating is bonded to the silicone liner at the molecular level through an innovative vapor deposition process and produces a permanent, pin-hole-free, cloth-free, hydrophobic barrier that will not peel, crack, chip, or wear off. The NEW SilhouetteTM Prosthetic Foot is Freedom Innovation's latest offering of high-performance, lightweight componentry, with the added benefits of multi-axial rotation and a slim profile facilitating ease of refined cosmetic finishing. 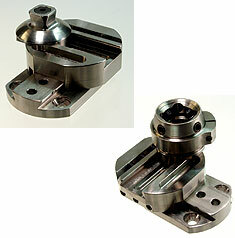 A 34mm tube clamp adapter ensures an easy and secure socket attachment. Nine stiffness categories are tailored to individual patient weight and activity level. The component is rated up to 365 lb. and available in sizes 2230 cm, with a 60-day No Risk Trial Period and 36-month warranty. Realastic Prosthetics & Restoration (a division of Health Related Products Inc.) has introduced an improved look for its custom partial silicone fingers. "Our fingers are now available with separate Palmar Color, an improved nail bed, and 24 skin tones," says Dewey Yeargin, HRP president. Customers can mix and match the Palmar Color choices to provide an improved and even more realistic look. NeuroStretchTM Orthotics, the next generation of NeuroFlex technology, includes the new products: Finger Flex WHFO, ROM Knee Orthosis, and Air Knee. All NeuroStretch Orthotics have inhibitory properties and provide Low Load Prolonged Stretch Therapy while the patient simply wears the device. All products feature washable liners treated with Bacti-Ban, an antimicrobial agent that keeps the orthoses cleaner and odor-resistant for the life of the product. For the same price, don't immobilize a contracture with a static brace--provide NeuroStretch Orthotic Therapy to restore lost range of motion. Otto Bock HealthCare introduces a new, unique product to the company's Modular Joint line: the Double Action Ankle Joint, and AFO Strap and Liner. 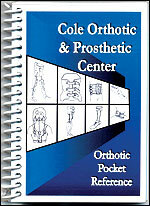 The Double Action Ankle Joint has easily modifiable multiple fitting options. It comes in pairs with a convenient package of springs, stops, and spring stops for nine control variations. The joint utilizes screws that can easily be replaced, eliminating drilling or replacement rivets. 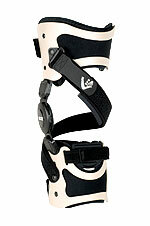 The AFO Strap and Liner provides a strap and liner in one convenient, durable piece. 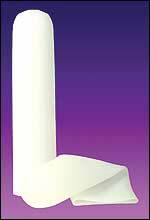 In addition, the liner is simply trimmed to fit for insertion into an AFO, saving fabrication time. 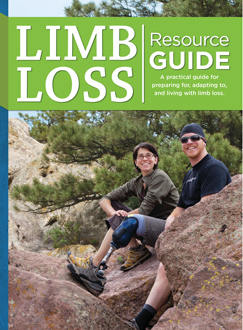 Durable spiral-bound book measures only 3 5/8" x 5 3/8"
AdaptskinTM is specially formulated to address the demanding needs of persons faced with limb loss. Clinically proven safe and effective for all skin types, Adaptskin is hypoallergenic, all natural, and contains no preservatives. 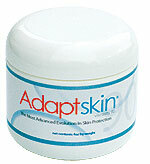 Adaptskin blends moisturizers and healing agents in a unique, non-water-based formula. The emollients, which do not wash away with water or perspiration, melt on contact with the skin, penetrate the cell layers, and form a waterproof barrier providing superior long-term protection.